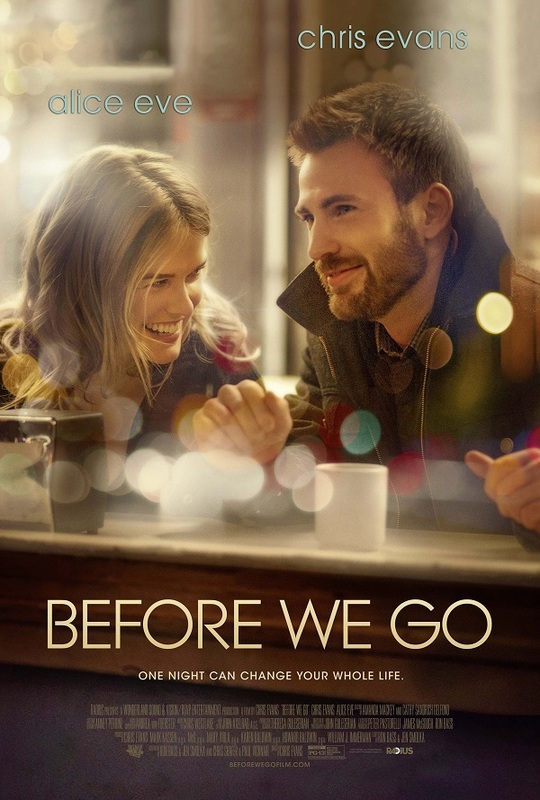 Chris Evans’ directorial debut in the romantic movie “Before We Go” wherein he also stars opposite Alice Eve starts showing at Ayala Malls Cinemas on September 2. Check out the movie’s trailer here after the jump. Set in Manhattan, the story follows two strangers after their serendipitous meeting in Grand Central. Over the course of one night, they form an unlikely bond and the conflicts in their own lives become the basis for exploration into each other and themselves. Evans stars as Nick Vaughan, a trumpet playing street performer who serendipitously met Brooke Dalton, played by Alice Eve, in Grand Central Station who got stranded in New York after she has been robbed. Volunteering to make it through the night, the duo spend the wee hours wandering around the city embarking on a night of destiny. “As a first time director, luckily, I had a great crew that made it a lot easier. I just like movies that have a lot of dialogue and it kinda fits that bill,” Evans shared on his first directorial work in the movie. “Before We Go” opens September 2 in cinemas exclusive at Ayala Malls Cinemas nationwide.